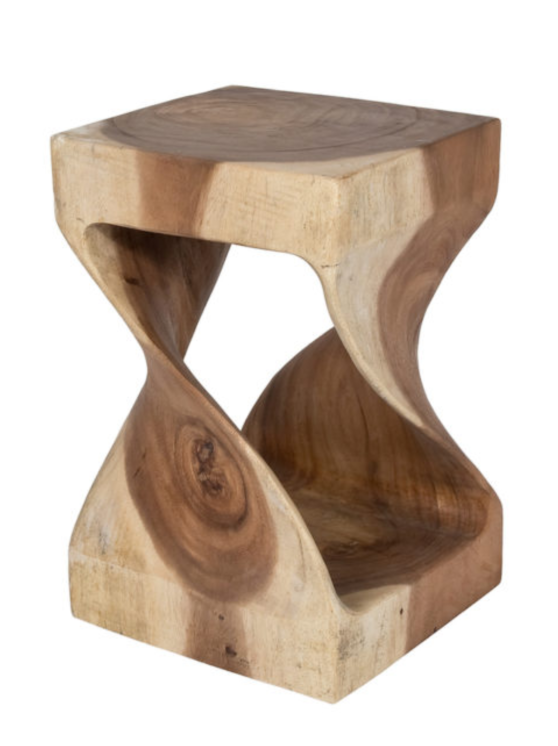 A fun multi-purpose masterpiece, these unique live-edge pieces can also be used as small nightstands, end tables or in groups as a one of a kind coffee table. *Our Natura collection arrives “as is” without packaging. Product is cleaned prior to pick-up or delivery. A clear oil – available at your local hardware store – can be applied to help enhance the natural lustre of the wood. Do not place these products directly onto carpet or wood flooring. We highly recommend using a protective pad to keep your rug or floors safe from transfer.